A man is suing British Airways after being “squashed” next to an obese passenger during a 13-hour flight. 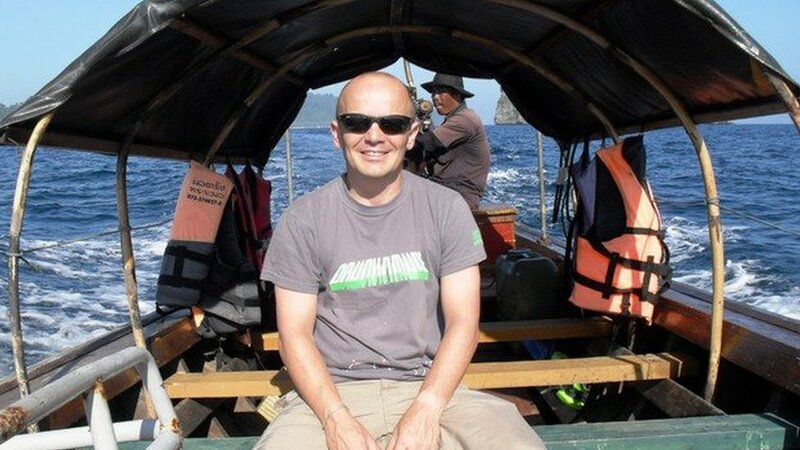 Stephen Huw Prosser, who is 5ft 3in, said he suffered a pelvic injury and nerve damage in his neck on the journey from Bangkok to London in January 2016. The 51-year-old from Tonypandy in Rhondda Cynon Taff told Pontypridd County Court the passenger “was built like the late rugby player Jonah Lomu”. He is claiming for damages and loss of earnings, which BA is resisting. The total amount is believed to be in the region of £7,500. Mr Prosser, a civil engineer company director, was returning home from a holiday in Thailand on 10 January 2016. He was sitting sat by the window when a “huge man” took the seat next to him before takeoff. “In my opinion he was obese as well as tall. I would estimate he was 6ft 4in in height and in excess of 22 stones,” said Mr Prosser. “He had to physically squeeze himself between the armrests. His buttocks were bulging onto my side and the rest of his bulk spilling over. Mr Prosser complained to the cabin crew but was told there was no alternative seat available as the flight was full. He remained in his seat for the rest of the journey but was in “continual pain”. In the weeks that followed, he claimed he remained in constant pain, his stance was “twisted” and suffered back spasms. As a result of this, he said, he was also forced to restrict his working hours for three months and was unable to continue his hobbies of mountain-biking and motorcycling. The BA customer service manager on board the flight, Chris McLindon, said he had “very rarely, if ever” dealt with such a complaint. He added: “The passenger was tall and broad but he was certainly not obese. He didn’t overfill the armrest or the confines of the seat. He added British Airways does not have a policy where passengers must give their size or weight when booking tickets, however some ‘pro-active’ passengers, who know they will struggle to fit in one seat, instead purchase two. Timothy Salisbury, representing BA, said: “Mr Prosser’s colourful description that he was ‘built like Jonah Lomu’ was an exaggeration. “The passenger did not need a seatbelt extender, the arm-rests were down and there was no complaint from the passenger on the other side. However Jack Harding, representing Mr Prosser, said it was “not usual or expected” to be pushed and held in an awkward position by a neighbouring passenger’s body “spilling over”. He added: “Mr Prosser explored every other option, including sitting in the (cabin crew’s) galley seat. “But instead he was left in the position of either going back to his seat and suffer in silence with pain-killers or walking around the cabin for 13 hours. It was a Hobson’s Choice.